Lompoc Museum Associates and Rancho Purisima Chapter of the Daughters of the American Revolution are hosting a re-dedication of the repaired and enhanced World War I monument that stands on the grounds of the Lompoc Museum. Over the last two years, the two nonprofits have been working to raise funds to repair and clean the monument itself and install a stamped concrete plaza. Other enhancements that will be installed in time for the dedication ceremony include 4 commemorative bronze plaques, a bronze bas relief sculpture of a doughboy soldier by local artist Ed Brooks, two curved concrete benches, and two planters containing red poppies, a flower with a special meaning for World War I. 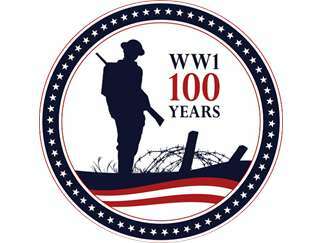 The re-dedication of the 1924 World War I Monument will take place at 11 am on Sunday, November 11 - the 100th Anniversary of the end of World War I. 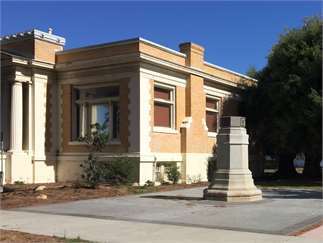 An open house reception and opening of the exhibit, "Lompoc Goes to War" will follow the dedication.